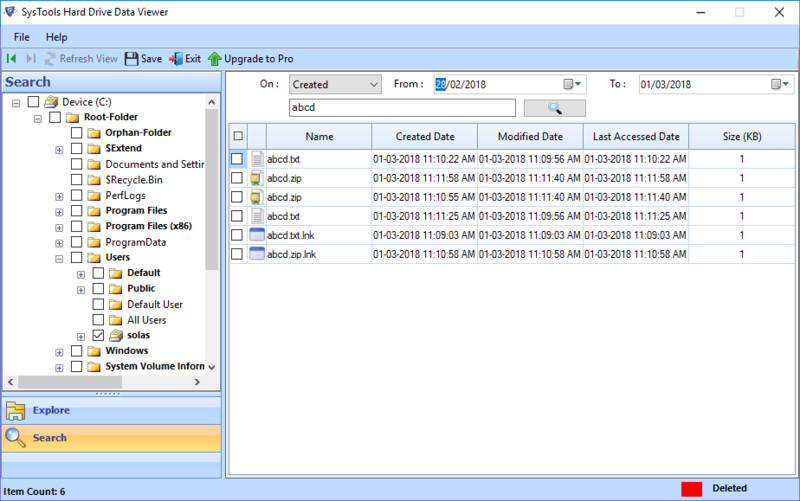 Hard Drive Data Viewer tool is a simple and reliable solution to open and explore damaged, formatted or external hard drive data. The software has an easy-to-use interface that one can use without any hassle. In addition, the tool is capable to open and view damaged NTFS and FAT32 partition also in a couple of minutes. Allows to open and view all external storage device also like pen drive, etc. 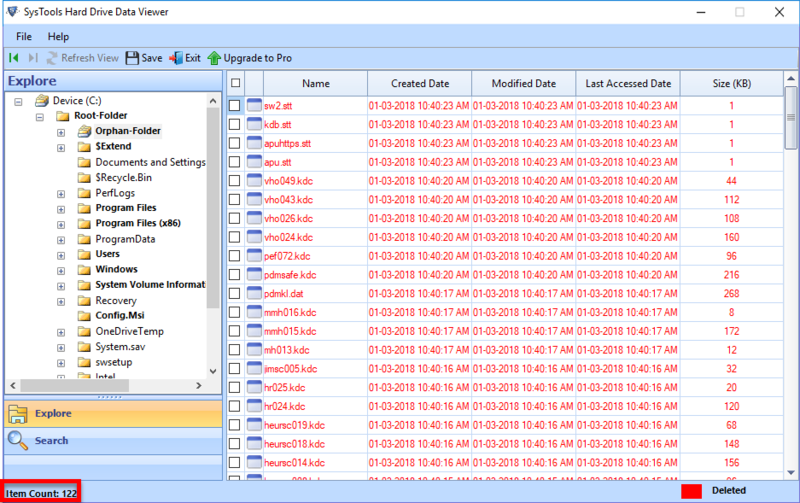 The Demo Version of Hard Drive Data Reader tool lets users recover corrupted, formatted and permanently deleted data from HDD. This edition also allows users to perform functions in order to understand the working of the tool. The Hard Drive Opener software retrieve all data from hard drive and display them on the software panel. It extracts entire data such as images, documents, video, audio files, ppts, etc., from the selected hard disk. The software will display the data in the same manner on the Hard Drive. 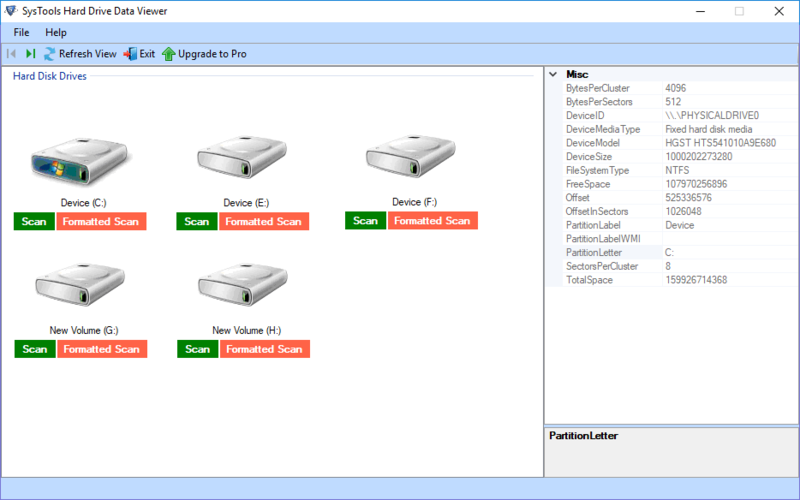 Hard Disk Data Viewer reader is designed in such a smart way that it detects all the partitions on the system automatically. In addition, it will display all partitions along with their related attributes. One just needs to start the software on the PC and then, it will load all system partitions in the software panel instantly. With the help of Hard Drive Data Reader software, a user can open and explore GPT and MBR partition table also on any Windows versions. Using this utility, a user can troubleshoot all type of issues encountered mainly while opening Windows partition. Moreover, the software is compatible with all versions of Microsoft Windows. Does the software provide any option to save the recovered data on the local machine? No, the Hard Drive Opener software will just recover and preview the data stored in corrupted, formatted, and external hard drive. You need to upgrade it to Pro version to recover deleted files. Can I extract media files also from the memory card of my Smart phone? Yes, simply attach the memory card to the system and start the Hard Drive Viewer software. Select the external storage device and it will begin the scanning process. After that displays the all recovered data in front of you. Does the Hard Drive Data Viewer software recover deleted data also from the HDD? Yes, with the help of this tool, a user can easily recover and explore deleted data from the hard disk. "The Hard Drive data viewer is a complete package software to overcome all major problems of the hard drive. The best part is that it lets me view corrupt hard disk data also in just a few simple clicks. 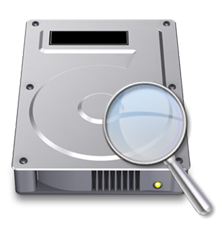 I would like to recommend this to all those users who want to open and view data from corrupt HDD file. Ingenious Software!!" "I tried this application and according to me, it is an amazing application with the simple and easy user interface. I did not find any difficulty while using it. Moreover, it preserves the original formatting also impressed me a lot. Thanks to developers for such a great application."